Disclaimer: I am not an audiophile, nor do I have the equipment to properly benchmark audio equipment. Early Android users would probably know Xiaomi for the "revolutionary" Android UI, which looked suspiciously iOS5-like. Ones who bought into the Smartphone craze later may know them better as "the people who once had the cheapest decent hardware on the market". And some maybe know them for their little android-powered internet TV boxes. But distributors of audio equipment? Anyone would have laughed 2 years ago. However, thanks to an iF Design Award last year, the Xiaomi and 1More branding on its headsets has become so reputed that at one point the market was flooded with convincing fakes bearing their logo. This is an honor usually reserved for the likes of Apple, Samsung, Sony and Logitech. So good that people will fake them to make a quick buck. I’ve heard that one before - different hardware for different purposes. And its extreme opposite: just use whatever is cheapest or use onboard, because sound hardware manufacturers are overrated, and only like 1% of the world has hearing like a cat or dog. Both arguments have a point. The movie industry pioneered this stuff, but in the first and third person shooters of today, directional and positional sound at least is a norm. Heck, even ID software games of the 90s are capable of this. Even in 2D, Tactical or Roleplays with no need for this surround thingamajig, even the most compressed BGM in a given game is almost always stereo, with sound effects being the only ones that may still be recorded in mono.. Yet, to invest in a good soundcard or even the software equalizer we use, if the original equipment manufacturer falls short? One could use HDMI, which costs some money to buy capable hardware, or a dedicated sound card which… also costs some money. That can be better spent on graphics hardware or better keyboards and mice or better screens or even another game, etcetera. Natch, and everyone uses on-board and the cheapest pair of speakers they can find, or earphones that came with a smartphone. Not that I’m saying that’s a bad choice and all, but… what if I told you that one can actually do better for a fraction of the price normally paid for doing better, and the only issue being whether anyone feels sorta silly having stuff in ears whilst sitting in front of a computer? Xiaomi’s In-Ears are quite a surprise for me; usually I’d recommend products from Sony, TDK or Pioneer (and specifically them, or their OEM… the Japanese know their mids at least, since they formerly made all of the portable gaming, work and media hardware, ever), and even then I’d still recommend any old 2.1 setup over attempting to use cellphone headphones as gaming headwear. Now that I know good stuff exists for a price within “careful impulse buy” reach, it’s hard to go back. I had an imported Piston 2.1 when it was all the rage, and yep, it was a suitable product for me who uses a cellphone as a media player. At the time, the fakes haven’t flooded the market yet, and I was reluctant to migrate to the new IEM craze, insisting on using earphones and over-ears - so I was using a pair of middle range Sennheiser MX-365s, and Comply tipped Samsung OEMs as a backup. Let’s just say the Pistons were what finally got me to move with the times: having passed the music player test, I ran with the thing on my NDS and a PSP I could periodically borrow. Me, who found it more satisfying to play the likes of Super Robot Wars with the sound on and wear headphones to avoid disturbing everyone else around me, liked the result so much that I finally got curious enough to actually plug it into my desktop. The only reason why I didn’t keep using Pistons as a mainstay for desktop gaming was because I couldn’t be bothered to plug-unplug it all the time I wanted to bring it anywhere. Yet certainly, it beats the pants off laptop speakers! And thus, wherever my netbook, NDS and cellphone went, the PIstons went along. Unfortunately it died when I "accidentally the whole thing". Not a huge financial write off, but I still miss it since it was too difficult to replace to bother trying. I also had its mass production version, the first Mi In-Ear Headphones, which was the closest approximation to a Piston 2.1 I could get. That fell out of the bag somewhere. I hope the guy who finds it doesn't think it's one of the rampant fakes and is currently enjoying it. Let's get this out of the way: No, this isn't a Piston, let alone a Piston 3.0. The actual Pistons were never distributed in Singapore - what we get are mass production "In Ear Headphones" - although they tend to perform close enough to Pistons for this difference to not matter. The grapevine says this is supposed to be an improved Piston 3.0. Too bad *that* never appeared in this country so I can’t tell. The packaging differs from what I expected: made of cardboard instead of the often-cloned-by-ripoff-artists plastic box with acrylic cover. A cost saving measure, I guess - but truth to be told, few would keep even the acrylic boxes for long periods of time. The interior cardboard foam-lined box doubles as a carrying case. It serves its function well enough, but I bet the thing won't close properly after a week or 2 of being crushed in the bag. I'm not sure if that's a face or a set of rabbit ears sticking out from the ground. That being said, unlike the old rubber cable winder of the Pistons and the older In Ear Headphones, it is easier to "repackage" the In Ear Headphones Pro for transportation. There are no weird 2-layer buds in the spares. Those, or a good set of Comply foam tips, were paramount for some degree of isolation in the older Mi In-Ears. This off-center design is all the rage these days from even the likes of Sony and Apple. Those who had the older In Ear Headphones may remember how easy it was for those things to fall right out of your ear canal. For me at least, that's what was happening - even after I switched to Comply foam, and even after I tried using those weird 2-layer buds. Therefore, I can see why the off-center thing caught on. I can't shake these ones off, and I haven't even changed the tips yet. Like its predecessors, the length from the 3.5mm tip connector to the LR splitter is lined with what is purported to be kevlar. In my experience, it works - just as long as one doesn't bend it into a tight U-shape. If the internal wiring ever pokes out of the kevlar by accident, it is virtually impossible to stuff the stray wiring back inside. Anything after the splitter isn't lined. The microphone and handsfree assembly has been moved closer to the mouth. Correct orientation should place it near your right cheek. If one likes to use the handsfree assembly's music control function, then this may prove a little more inconvenient - but the microphone is closer to the mouth. 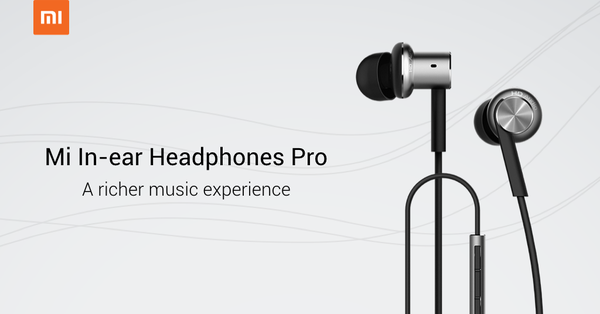 Maybe 1More and Xiaomi wants to call these products "headphones" because they perform just as good as an actual one? First off, there’s nothing scoff at with the microphone. It’s just as directional as the one on the Creative Inferno, with some degree of noise filtering/cancellation. the noisiest thing in the “test chamber” (well, my bedroom) is this industrial fan, and in a quick record test right next to said fan, its noise level was reduced to a third of what they are upon playback, with no change to my voice. Even a Realtek onboard’s driver-based noise cancellation could deal with the rest. Well its a headset for making and receiving phone calls first and foremost; capability of this sort should be a given. The low frequency response I've come to expect from this manufacturer's products is there. Bass response can actually be “felt”. Yes, “felt”, even from video game soundtracks that aren’t supposed to have much of a bass response and rely on your sound hardware having a bass fill. This is an effect that is pretty rare at prices below $30 SGD, and remains uncommon until the $50 SGD range. Clarity isn’t affected by whatever’s doing this. Mi In Ears of any kind are IEMs with a low frequency response of something that usually demands 2x or 3x its cost, without any "bass boost" advertising on the box. So much so that a muddy, way too soft or nonexistent bass response is a sure sign of substitution. The upper frequencies are pretty good as well. Higher pitch instruments and piano keys are audible, where products from other manufacturers in its price range require a boost from software equalizers or hardware amps. If you have percussions among the high pitch instruments tho, they sound ever so slightly "sandy". It’s not very noticeable unless you have a good ear, so your mileage may vary. The middle range is roughly the equivalent of something you’d get from a TDK or Sony of the same price. There is one notable trait: if you have someone speaking or singing in the background, these come across as clearer and crisper than even the previous In-Ear Headphones. One could essentially switch an equalizer on and adjust it to any setting, and will find it difficult to drown out the voice. Its as if this sort of feedback was a priority. Finally, the most obvious improvement is the isolation, which I’m pretty sure is not just because of its in-ear monitor design rather than a pair of over-ears in the first place. While Mi In-Ears tend to have good clarity in a noisy environment (you know, crowds, the back of a bus, on the train, that sort of thing), you don’t have to crank up the volume on this one. It’s not completely sealed - that’s way out of the league of this price range - but even with the default tips, the isolation you get is comparable to that of a dedicated gaming headset,. There are larger buds included for those wanting a bit more of a seal, or one could always grab a pack of Comply or Valore Value foam earbuds. Chances are, you wouldn’t need’em, your milleage may vary. There’s really only 3 ways using the Mi In Ears Pro as a go-to gaming headset can go wrong, and 2 of them are the limitations of attempting to use a cellphone headset for something that it isn’t originally designed for. Firstly, the controls in the mic assembly aren’t guaranteed to work outside of a smartphone. This means volume control is pretty much in the realm of the Windows, OSX or Linux control panel, a far cry from the Sound Blaster Inferno and similar designs where a volume “roller” is implemented. Then again, remember that media keyboards are all standard design these days, and the first reaction to increasing/decreasing volume isn’t the hardware rocker, but keyboard shortcuts and dedicated buttons. I don’t think that functionality will be missed. Secondly, you’re limited to only virtual surround as it isn’t a true 5.1 channel headset, let alone a 7.1. (It’s 2.0 or 2.1 at a stretch, more like). This is relevant to those who actually have the good fortune to be able to purchase and properly set up 5.1+ hardware. Such setups can get expensive and usually means the gaming rig has to be stationary, not portable. In fact gaming laptops, out of box, still only give you virtual surround, even if the speakers have the Haman Kadron or Altec Lansing branding across them, with true surround only available through HDMI out. I can honestly count on one hand the people who actually bother with true multi-channel surround setups - on the go is where it’s at. For all other virtual 5.1 or 7.1 needs, one probably won’t miss the built-in speakers much. Lastly, the Mi In Ears Pro is sensitive enough to hear an onboard sound card’s motherboard interference hiss. But that’s not really the fault of 1More or Xiaomi, is it… it’s a known flaw of motherboard design that pretty much can only be corrected with a USB sound card, and every PC builder on the planet lives with. Keep the volume at a reasonable level, and you need better ears than mine to hear interference noise. This is a nice new release by Xiaomi, and at ~$28 SGD, its somewhat replacable so long as mi.com/sg has stock. The only way other manufacturers could beat it at the moment is by heavily discounting their products. There’s one catch tho. The In-Ear Headphones Pro’s primary competitor is its predecessor - at least until the stock runs out. Excluding the -Basic labelled sets, the previous In Ear Headphones - metal earpieces and all - had its price reduced by $2 SGD. They’re around $20 SGD last I checked. Aside from not having the improvements from the previous design, and one particular inconvenience that depends on the shape of one’s ear canal, money can be saved right there. This is a product for media player smartphones and has the player/call controls to prove it - and sure enough, the controls aren’t guaranteed to work outside of a smartphone. But not only is it a cellphone headset, it is an excellent companion to your dedicated media player - and strikes me that it will improve the quality of your 3DS and Vita experience just as its predecessor did my NDS and PSP experience, if you do appreciate sound effects and background music in your video games. It’s the type of product you can plug into a Realtek HD onboard, and make full use of any game’s environment equalizer effects - without actually having to use external sound processing hardware; If you do have a dedicated sound card tho, plug it in and play something - you may just be surprised at the results. There are better sets out there for those with more cash on their hands, but I have to hand it to the design team at 1More and the product team at Xiaomi. They have created yet another potential classic.